Angela Basset will make her directorial debut with a biopic about late singer Whitney Houston. The Lifetime channel confirmed the movie will chronicle Whitney Houston’s rise to fame and her turbulent relationship with ex-husband Bobby Brown, from their first meeting to their marriage. Angela Basset said “their humanity and bond fascinates us all”. Whitney Houston died in February 2012, aged 48, after accidentally drowning in a hotel bathtub in Los Angeles. The coroner’s report into her death ruled the star had drowned due to heart failure and “chronic” cocaine use. Whitney Houston sold millions of records worldwide including her hit cover of Dolly Parton’s I Will Always Love You from 1992 film The Bodyguard, in which she also starred. 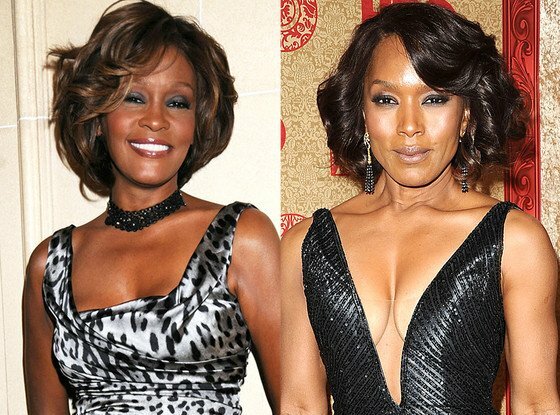 “I have such regard for both Whitney’s and Bobby’s amazing talents and accomplishments, and I feel a responsibility in the telling of their story,” Angela Basset said. Although the movie will be Angela Basset’ first turn behind the camera, she has played several characters based on real people. Her performance as Tina Turner in 1993 biopic What’s Love Got to Do With It earned her a best actress Golden Globe and an Oscar nomination. Angela Basset also played Voletta Wallace, the mother of murdered rapper Notorious BIG, in the 2009 film Notorious. Earlier this year Angela Basset received several TV award nominations for her role in Lifetime TV mini-series Betty and Coretta, where she and Mary J. Blige played the wives of Dr. Martin Luther King and Malcolm X, who formed a life-long bond after their husbands’ assassinations. With a working title of Whitney Houston, the biopic is set to air in 2015. The cast has yet to be announced.